We’re big fans of cognac. There are lots of lovely bottlings out there, and quite a number of delicious cocktails to use them in. We have a number of really nice cognacs in the cabinet, so we decided to try several of them in two different drinks to see how they came out. We decided to go with a Munich Sour for a citrus-heavy tiki style drink, and a Parisian for a more spirit forward style drink. Shake with ice, strain into a glass and enjoy! Nose: Orange blossom, orgeat, faint buttered popcorn scent. Palate: Very floral start, orange blossom with a little bit of jasmine. Then lemon and a strong appearance from the almond-y orgeat. Acidic, wine-y finish, reminiscent of fermenting fruit. Toffee and vanilla notes throughout from the cognac, underpinning the other flavors. Palate: Orange and lemon to start, the orgeat is muted. Clear bitter orange peel notes. Very clean, very citrus-y drink. Not spirit forward, rather everything works in concert. 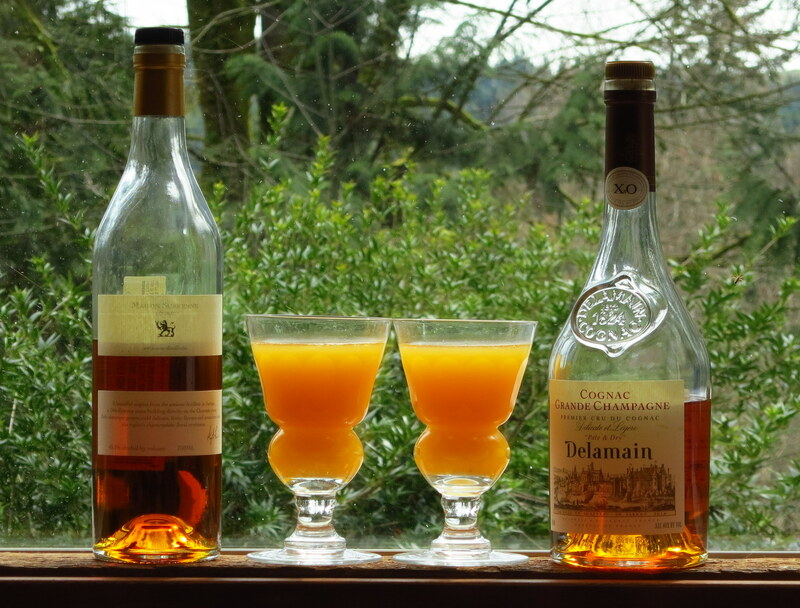 You can taste the cognac throughout the drink, but it doesn’t stand out or add depth compared to the Delamain. Stir with ice, strain into a glass and garnish with 3 brandied cherries. Palate: Fairly sweet open, very minty finish. Cognac and St. Germain to start. Camphor and some molasses. Tobacco and then bitter finish. Nice mouth feel. Palate: Opens with the cognac, then herbal/floral notes from the liqueurs with a chocolate-y bite at the end of the mid-palate. Finishes with more cognac and a little bit of mint, strong bitterness. Cognac is great in a broad variety of drinks. As much as any other spirit, the cognac you use makes a huge difference in terms of the final drink. We recommend trying variations of a drink with several kinds of cognac (and for gods’ sakes choose some nice ones :); it makes a big difference) to see what you like best. 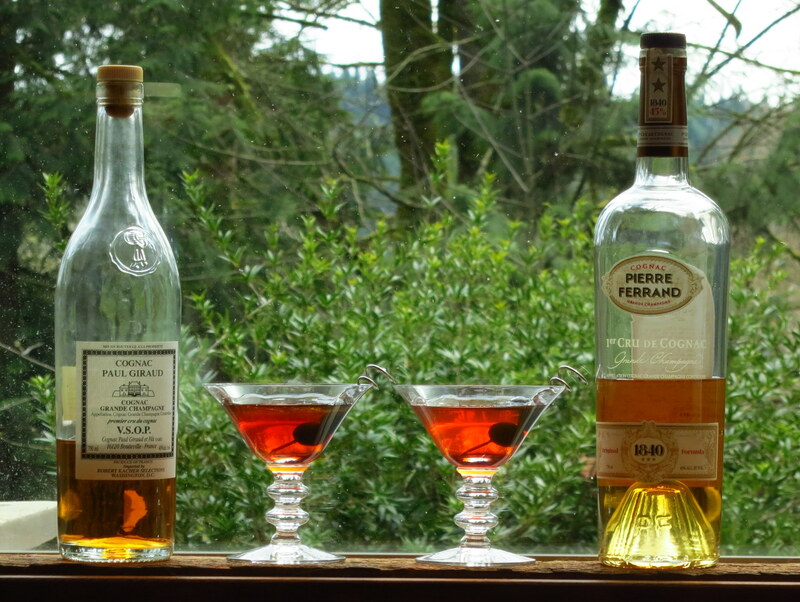 We hope after some experimentation, you’ll agree that cognac isn’t just an after dinner drink. This entry was posted in Cocktail Comparisons, cognac, fernet, orange juice and tagged cognac cocktail recipes, fernet cocktail recipe, munich sour cocktail, parisian cocktail recipe. Bookmark the permalink.